Measuring only 2.3â€? 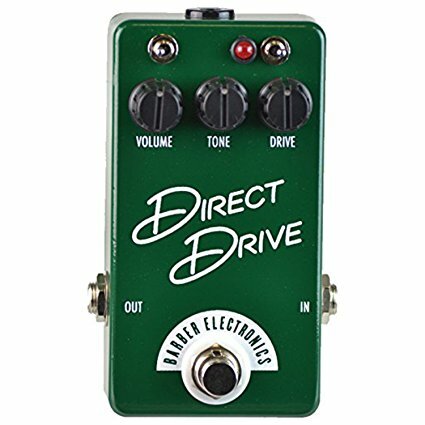 wide, the NEW Compact Direct Drive brings a colossal catalog of vintage British voice to your pedal-board. We packed the most desirable sounds of the Direct Drive, Direct Drive Low Gain (LG) and Super Sport into one clean and compact pedal. If you like the sound of the early UK combos with kt66 tubes, it's in there. If you bleed for the sound of a 4 input head with a wall of 4x12 cabs, it's in there. If you live for the sound of a carefully modified master volume gem from the early 80's, it's in there too. 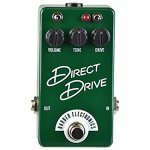 The Compact Direct Drive uses a simple layout of three knobs, a gain toggle and a harmonics toggle to delivery it's wide array from elastic-bells of GZ34-sag, to the hells-bells of a tight EL34-crush. Throw away the clock, tell the family you're taking a solo holiday, there is a Compact Direct Drive on the way.